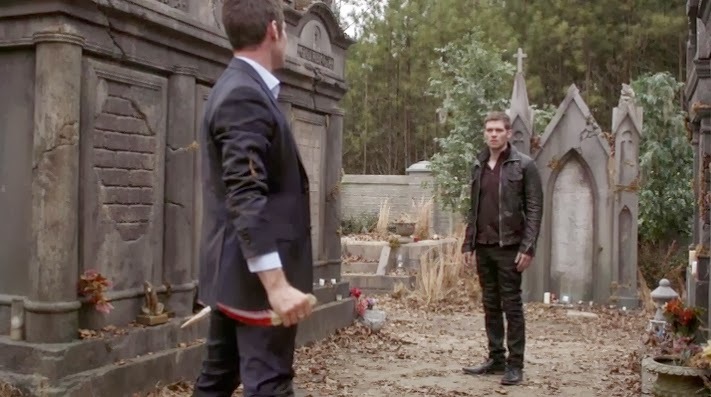 Tonight on The Originals after old feuds are hashed out and loyalties are called into question, we say goodbye to an Original sibling. This episode marked Rebekah’s swan song but, luckily for us it didn’t turn out to be a bloody farewell. Yes, in case you haven’t heard this episode marks the end of Claire Holt’s time as a series regular. I’m glad Rebekah won’t become the Tyler Lockwood of The Originals, leaving around sweeps all the time only to come back for the final few episodes and for no real reason. Hopefully it was an amicable split for Holt and one day we’ll see Auntie Beks pop up again even if only for an episode or two. Regardless, I’m glad that Rebekah was finally granted her wish for freedom. Don’t get me wrong,I love Rebekah but so far her role on this series has left me wanting. She bounced back and forth between loving and hating Marcel, and she was often relegated for the most part to the role of babysitting Hayley. I just hope her exit will allow the other female characters a chance to step forward and shine more. Hayley, Cami, and Davina I’m looking at you three! Now we also have Genevieve who’s stuck around after Rebekah’s exit, and I can’t help but wonder if the character was brought in to stay with the behind the scenes knowledge there’d be a void to fill with the loss of Rebekah and Sophie. Now the show has a character who may be sympathetic to the Original brothers (at least Klaus) and is also happens to be a witch. There could be some juicy future conflict to be found in that seeming contradiction. But really, are the rest of the witches going to stay satisfied with just three of the girls coming back? I like Genevieve but I feel for you poor forgotten little witch girl still hanging out in the void. 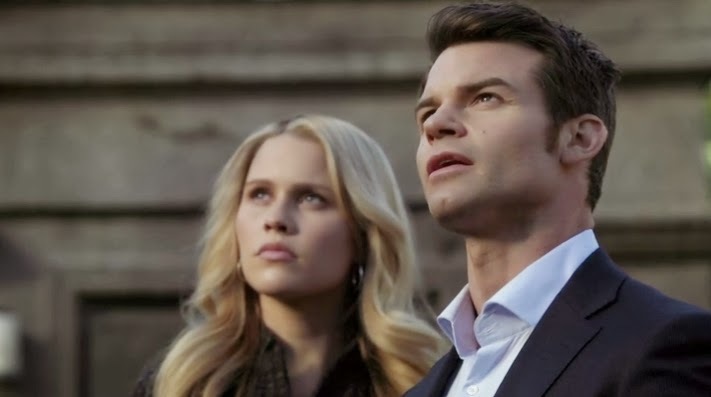 I also hope Rebekah’s happy departure will help to repair the screwed up relationship Klaus and Elijah still have as well as spice up the story of the family a little by giving it somewhere else to go. It was a nice therapeutic moment tonight for the trio as being stuck in the cemetery together forced each to come to terms with the fact that their father fucked all of them up in individual ways. 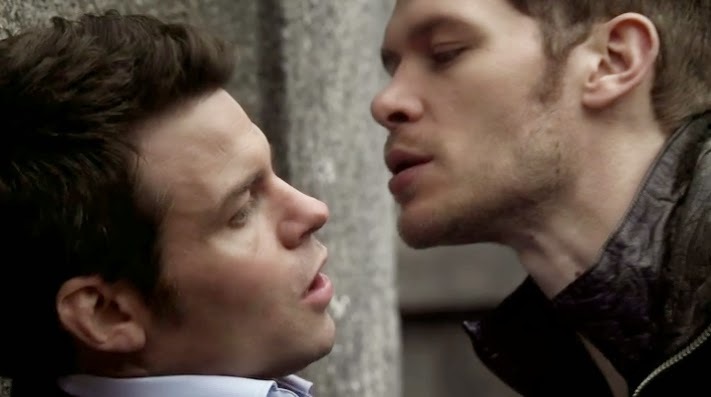 Klaus has shown wibbly-wobbly character development this season--he’s nice guy one minute then a complete sociopath the next--so I can’t quite take his decision to not punish Marcel himself as a true sign of growth. Not yet anyway. Elijah is certainly becoming a darker beast however as the season rolls on. He’s fully stepped back into the headspace of someone running a city now, especially with his grand act of banishing Marcel from the quarter. Outside of the vampire drama, we now have two groups of people making their full-fledged return to the quarter at the same time and that’s a recipe for impending chaos. We have Hayley’s wolf pack with their curse freshly unbroken as well as the witches who have very little to fear with Davina back in their fold. Both sides aren’t big fans of the Original vampires or Marcel either but I’m a bit more worried about what the banished free agent Marcel could be capable of at the moment. I say “worried”, but really I’m excited to see where Marcel is going to turn with his back truly against the wall now. My gut says Marcel will end up mixed in with the witches since Davina is there, but maybe he’ll end up with the humans. With Rebekah out of the picture perhaps he’ll eventually go back to pursuing Cami again. I don’t really think she’d say no to the idea for long either.